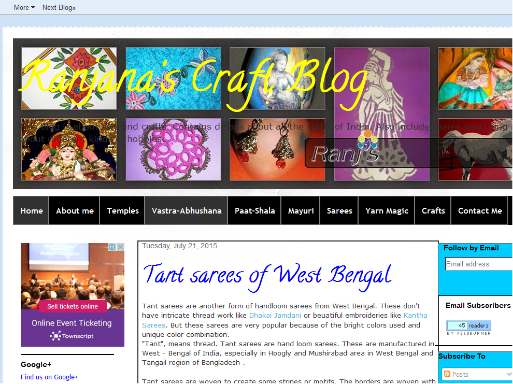 I have voted for "Ranjana Craft Blog" for the "Arts Crafts & Design" at #WIN15. Vote to make your favourite blogger win! I've tremendous passion for arts and crafts. I've learnt some forms of arts and crafts. Trying to share my experiences with arts and crafts with the readers.